Mix together soy sauce, sherry, brown sugar, cornstarch, and ginger. Pour half the liquid over the sliced meat in a bowl and toss. Reserve the other half of the liquid. Heat oil in a heavy skillet or wok over high heat. 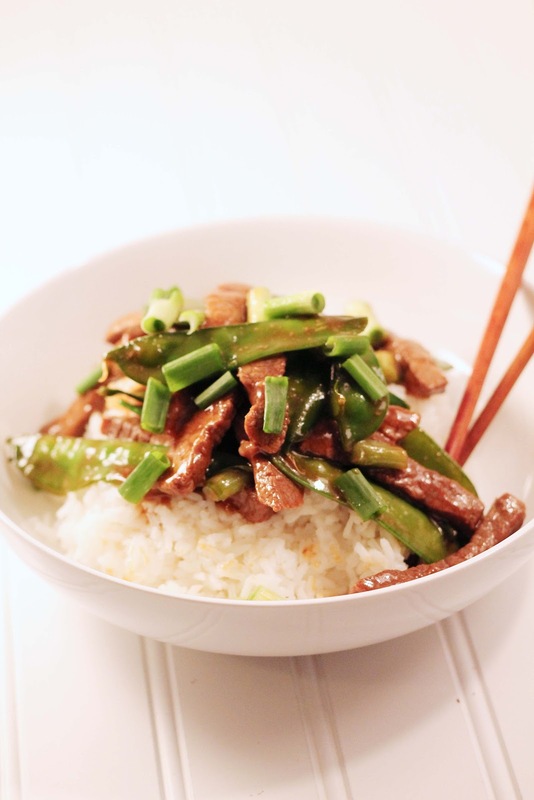 Add snow peas and stir fry for one minute. Remove to a plate. Allow pan to get hot again. Add half the meat mixture and add half the scallions. Sear meat on both sides until brown. Remove to a clean plate.